Dangles the Icy Carrot. | Do. Be. Interesting. Home Life Dangles the Icy Carrot. Every so often as I’m contentedly pursuing my dream, I get a taste of what it might be like not to be solo. Then it’s summarily ripped away. It’s like that time you were offered an icy red popsicle on a blistering hot day. Your mouth was so parched, you couldn’t speak or even swallow. Your cracked tongue felt like a dry wooden stick. You dropped to the sand, but at only 9 years old you were too young to die, so you crawled, then dragged yourself onward toward salvation. You tried to call for help, but only managed to wheeze a puff of dust from your desiccated throat. And then, just when you felt your soul slipping from your shriveled body to its eternal destiny, you heard a voice. You expended your very last reserves of energy and cracked open one eye. 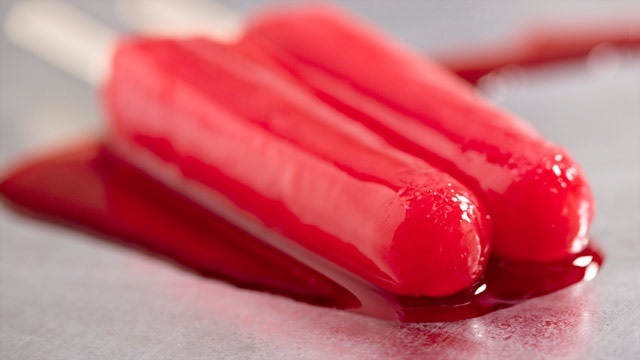 An icy red popsicle dangling just in front of your face! You felt one small drop of saliva begin to form at the back of your throat. It hung there for a moment, then dropped and instantly puffed into steam with a hiss. Your wooden tongue slowly protruded from your cracked and splitting grimace. You could already begin to feel the refreshing cold of that icy confection. Taste the sweetness of that sugary delight. Ok, so it was nothing like that time at all. And maybe that time never actually happened. The stakes are high–forever, and your eternal soul. But it’s still a game, and He likes to mess with us from time to time. There’s got to be some kind of point to it. But probably King Solomon had it right. Previous articleThe Orb of Manlius.